Italy, Venice. 2004. 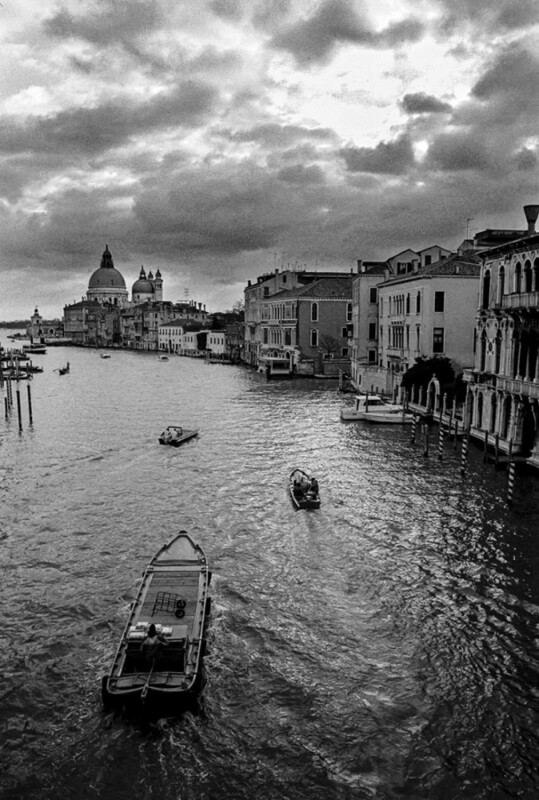 Canal Grande. 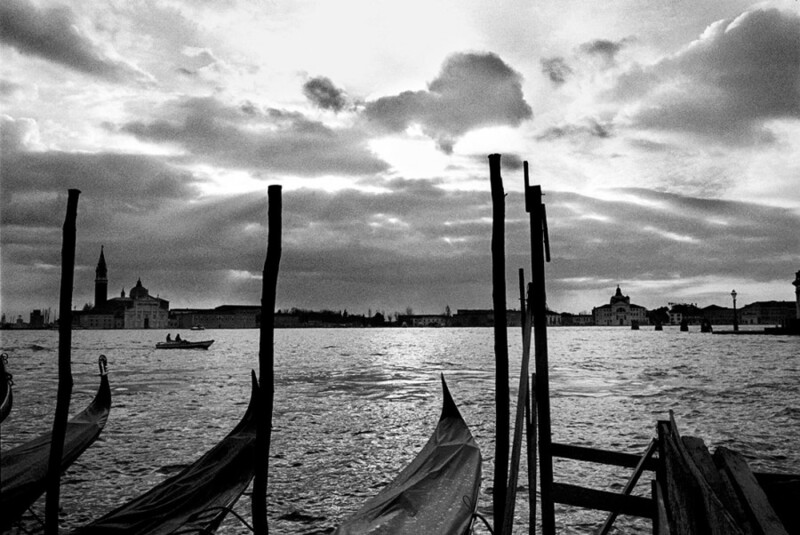 On the background the church Chiesa di San Giorgio Maggiore. Italy, Venice. 2004. 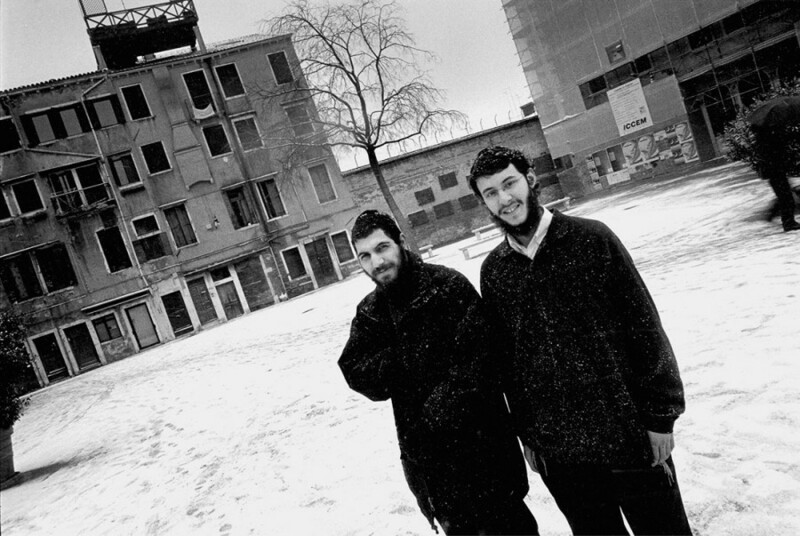 Two youngsters from Israel visit the once Venetian ghetto. On the background is the wall with barbed wire where many elderly jews were shot dead during WW II. Italy, Venice. 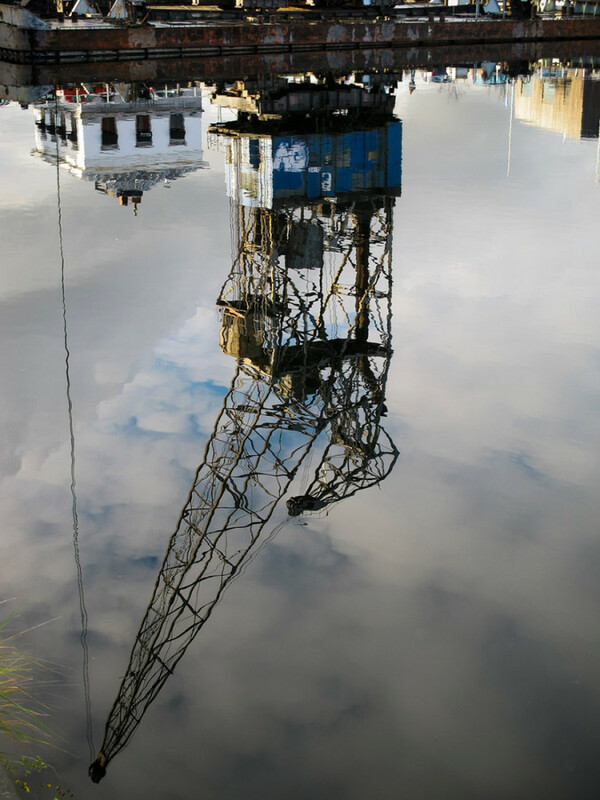 The Grand Canal. 1994. 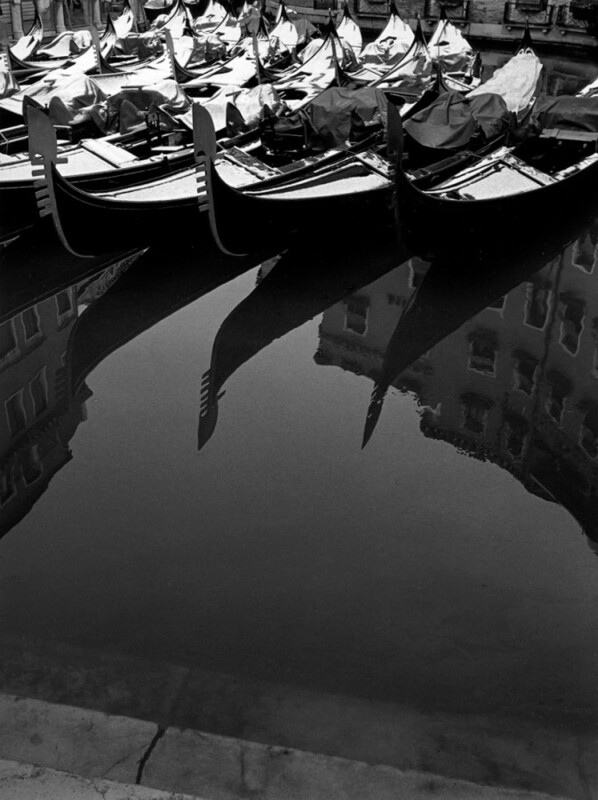 Italy, Venice, 2004. Gondolas covered by snow. 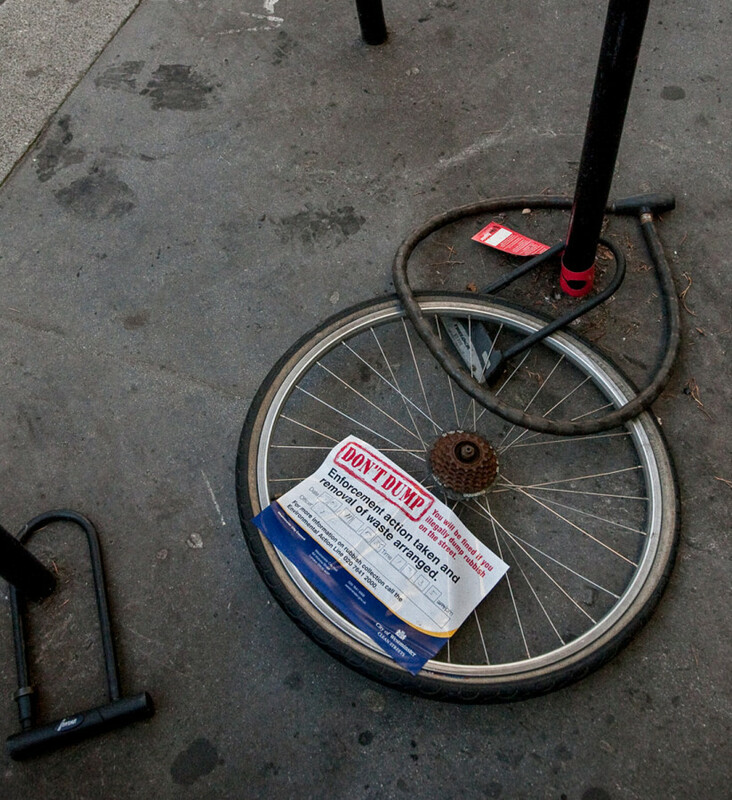 France, Paris, Avenue des Gobelins. 2005. Photo shop. France, Auvers-sur-Oise. 2012. 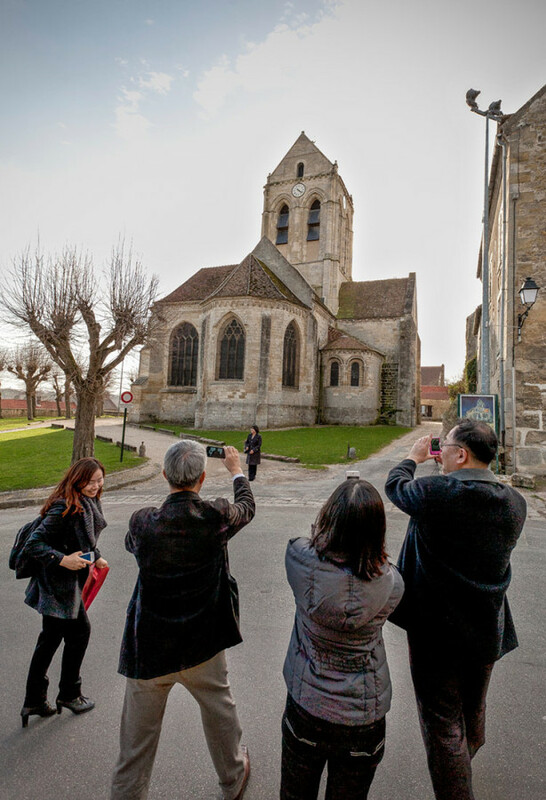 Japanese tourists in front of the church made famous by painter Vincent van Gogh who lived and worked here for seventy days in 1890. 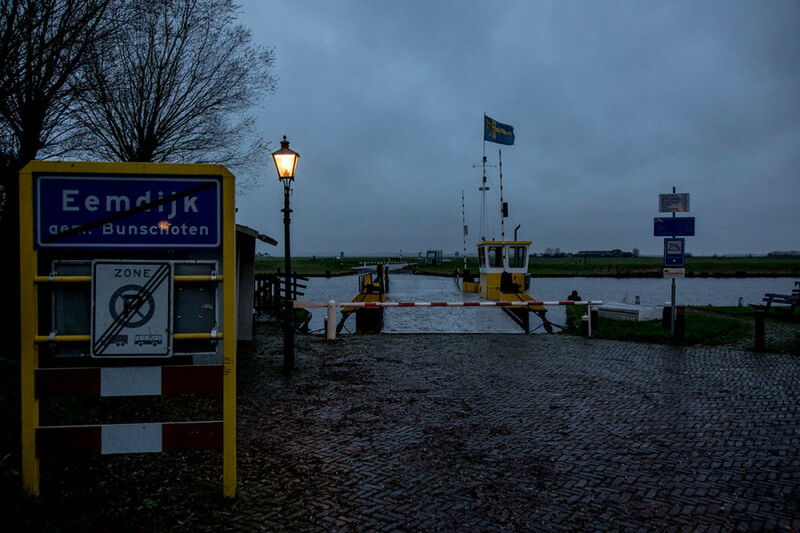 The Netherlands, Eemdijk. 2014. Ferry boat. 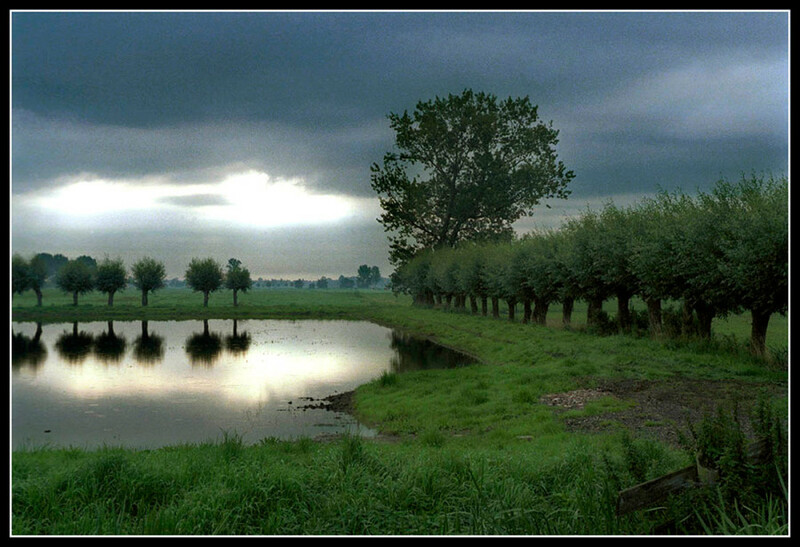 The Netherlands, Alblasserwaard, Noordeloos. 2006. 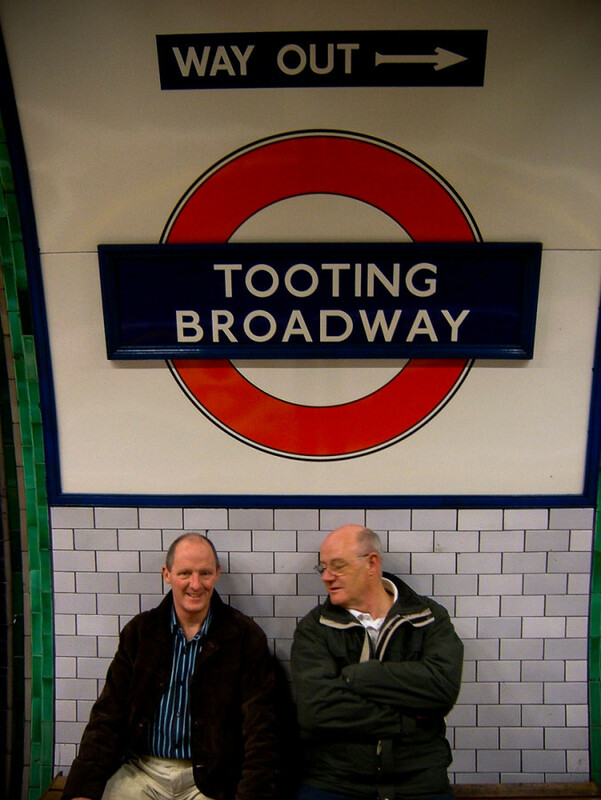 England, London, Tooting. 2007. Two Irishmen after the St.Patrick's Day celebrations. England, East Sussex, Sheffield Park. 2010. 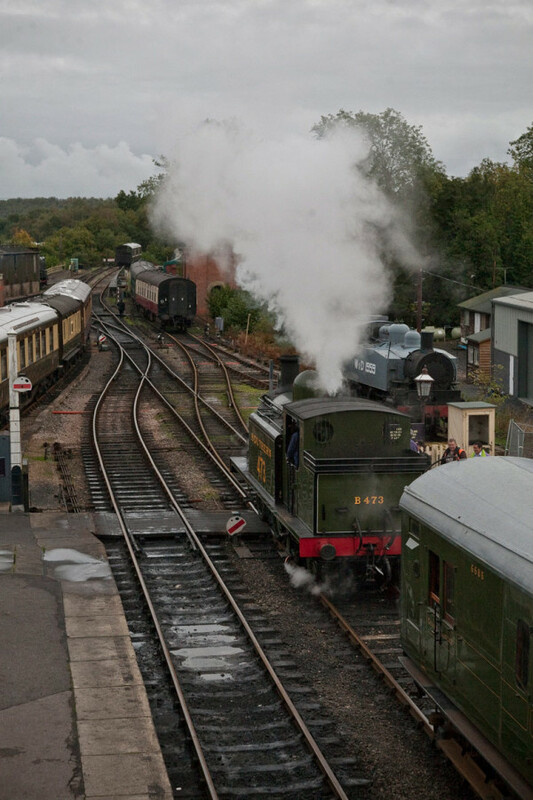 The Bluebell Railway. 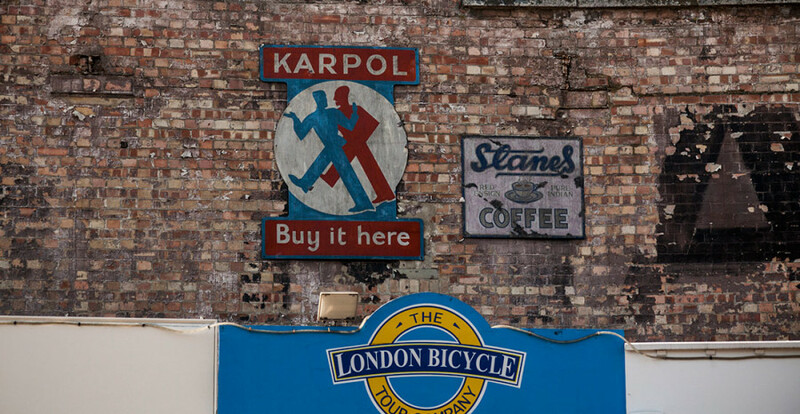 England, London. 2011. 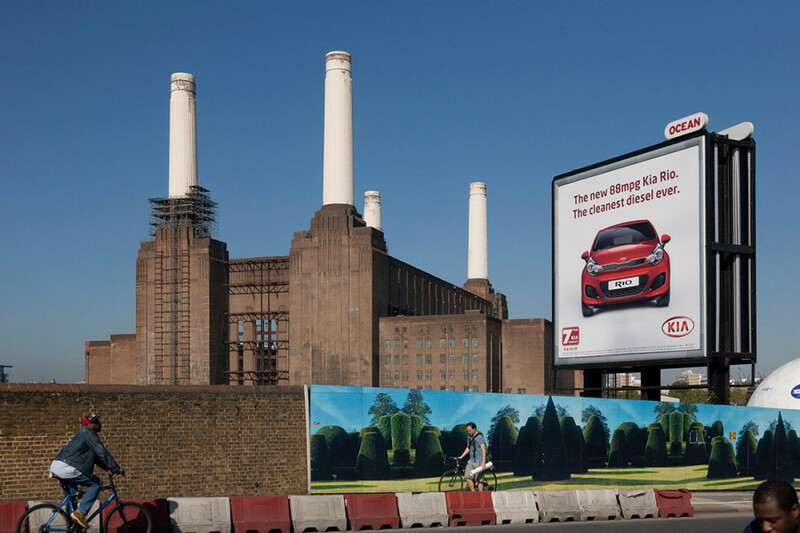 The monumental power station in Battersea, built in the thirties of the last century. It is the biggest brick-built building in the UK. 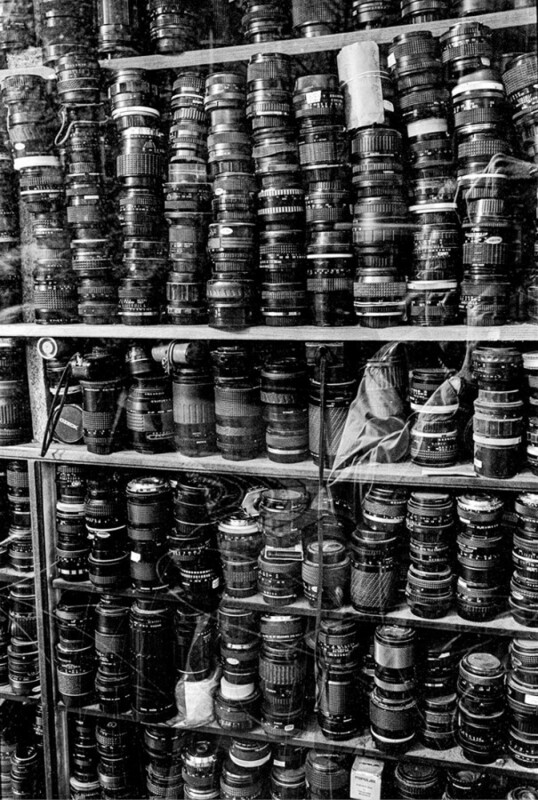 Closed in 1983. England, London, South Bank. 2011. 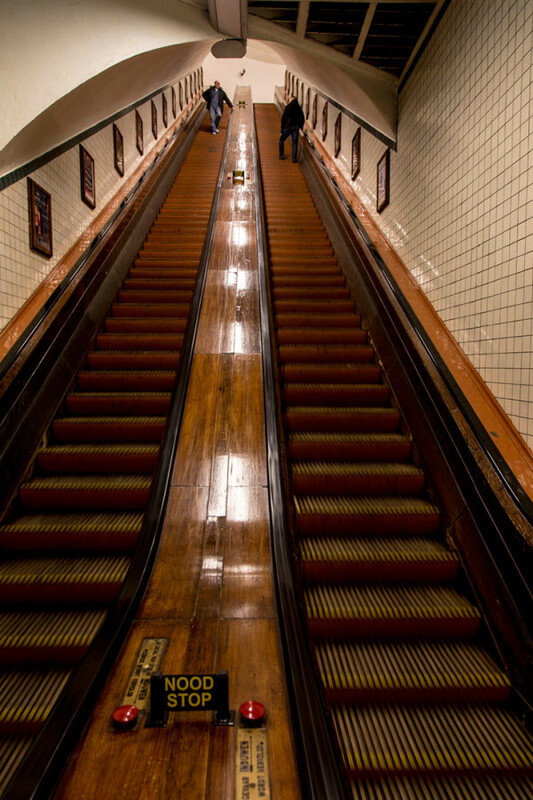 England, London, Covent Garden. 2011. England, West Sussex, Chichester. 2012. 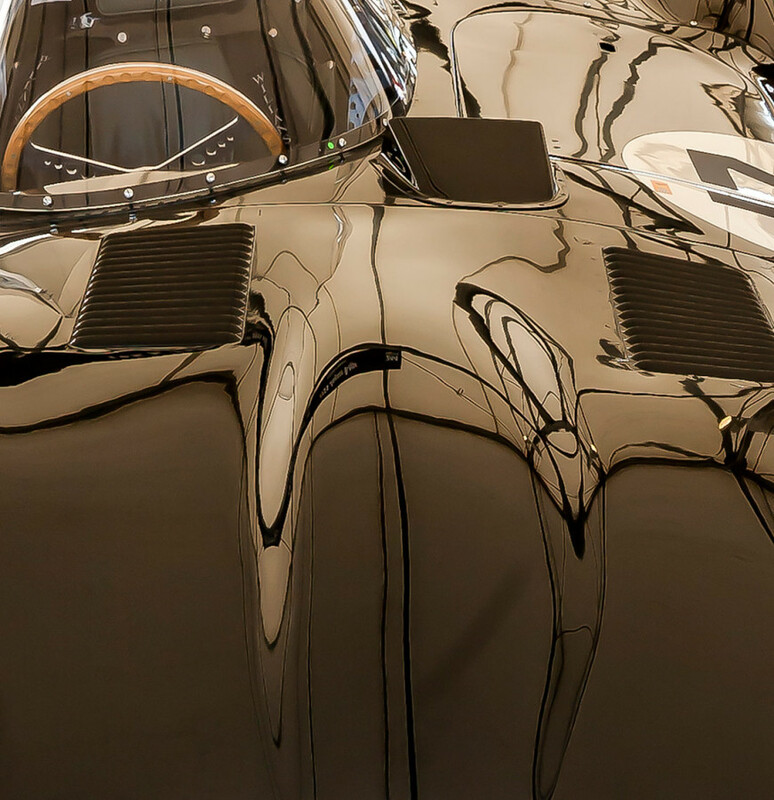 Reflections of an antique Jaguar E-Type racing car at the Goodwood Revival. England, West Sussex, Chichester. 2012. 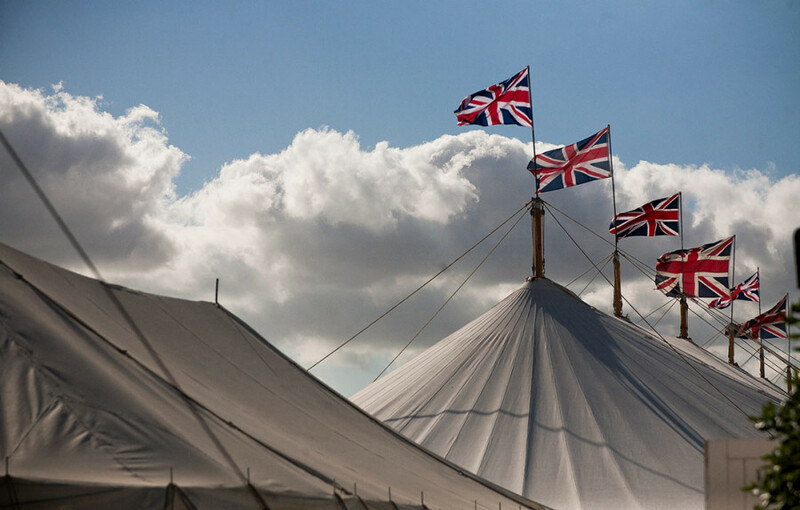 A party venue with the British national flag on top at the Goodwood Revival. England, West Sussex, Chichester. 2012. 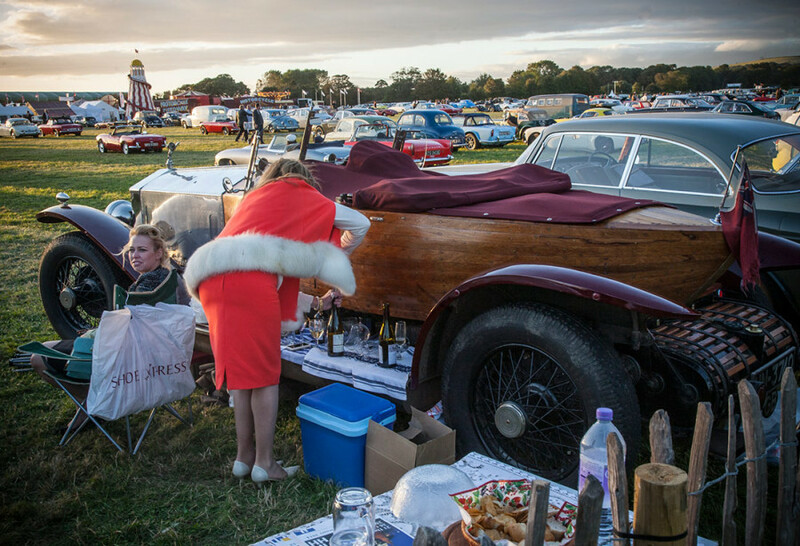 A sundowner on the running-board. 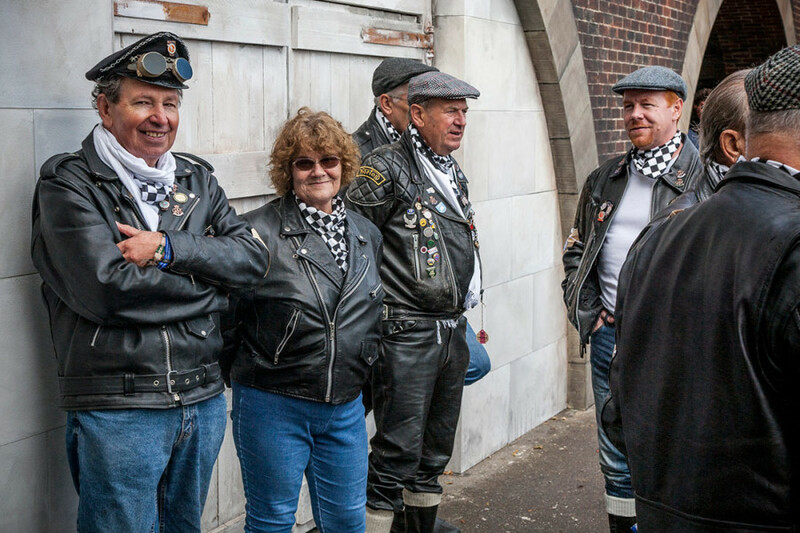 Visitors to the Goodwood Revival dress up in the years fifty style. Every year this festival is held with vintage automobile races. England, West Sussex, Chichester. 2012. 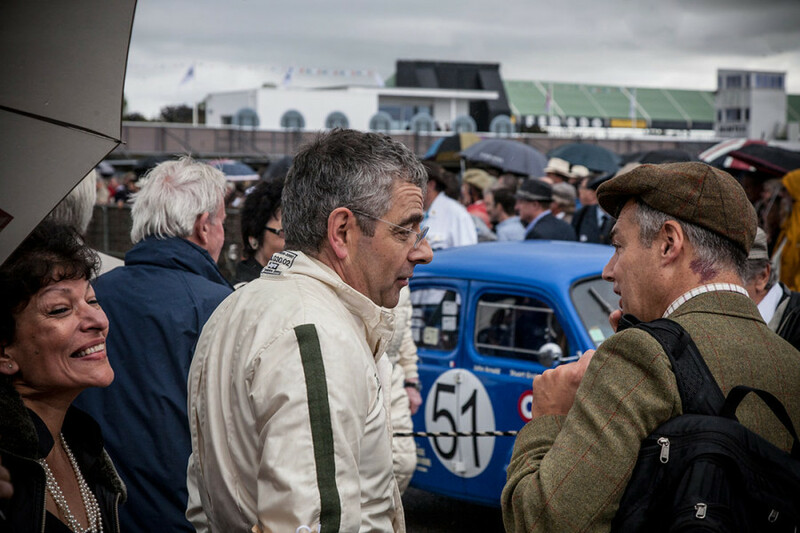 Actor, comedian and racing driver Rowan Atkinson talks to a visitor. England, West Sussex, Chichester. 2012. 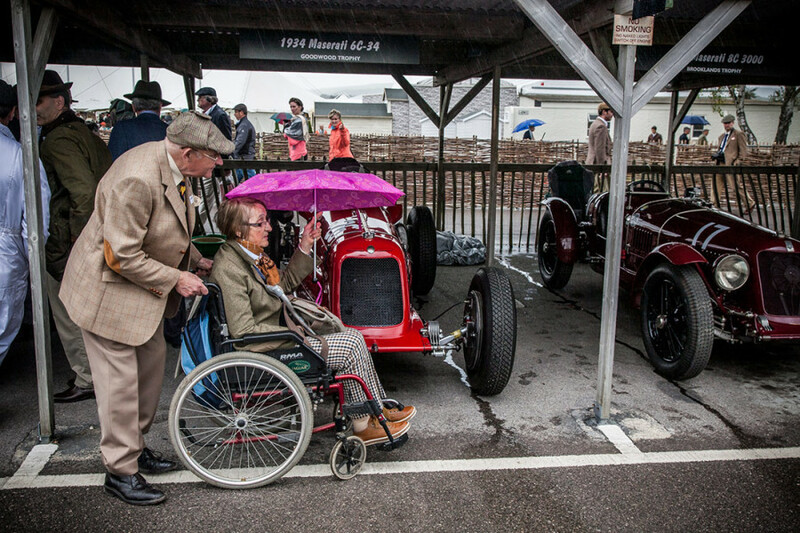 A man pushes his handicapped wife in a wheelchair along a display of antique racing cars. England, West Sussex, Chichester. 2012. 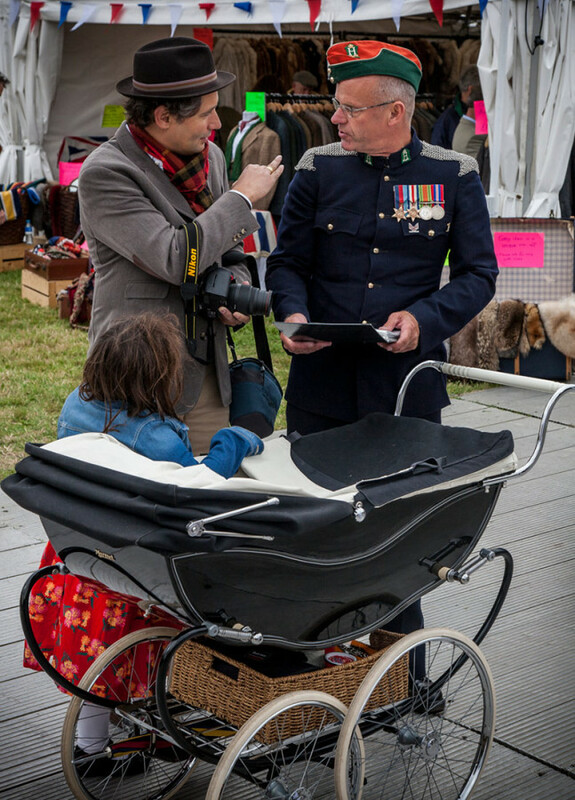 Visitors to the Goodwood Revival dress up in the years fifty style. Every year this festival is held with vintage automobile races. England, West Sussex, Chichester. 2012. 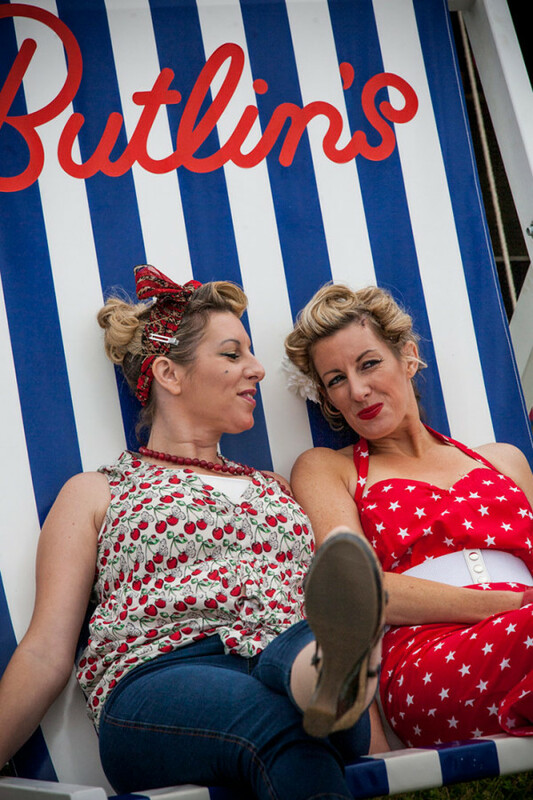 Girls at the Goodwood Revival dress up in the years fifty style. 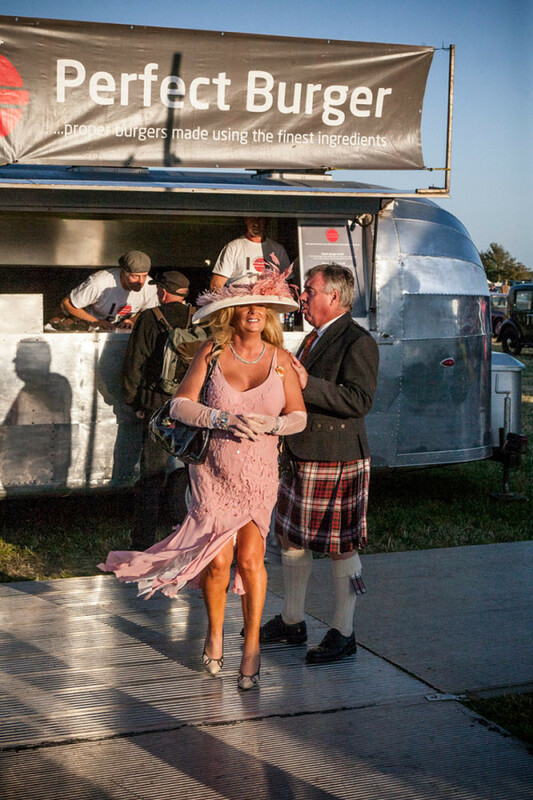 Every year this festival is held with vintage automobile races. 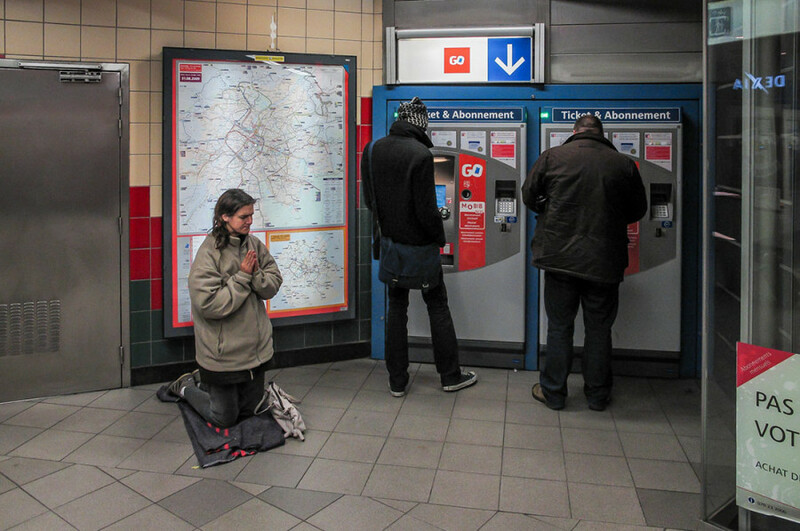 Belgium, Brussels, Central Station. 2010. Belgium, Antwerp, Tunnel under the River Scheldt. 2014. 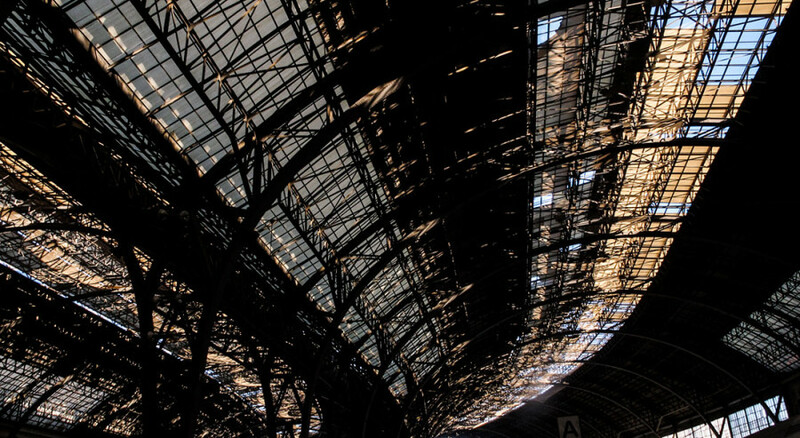 Spain, Barcelona, Estacia de França railway station. 2013. 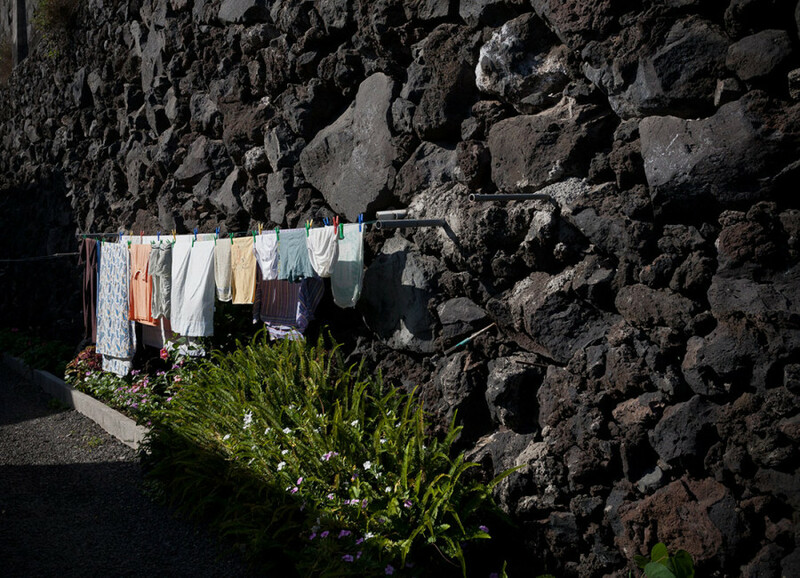 Spain, Canary islands, La Palma, Los Llanos de Aridane. 2012. Spain, Canary Islands, La Palma. 2012. 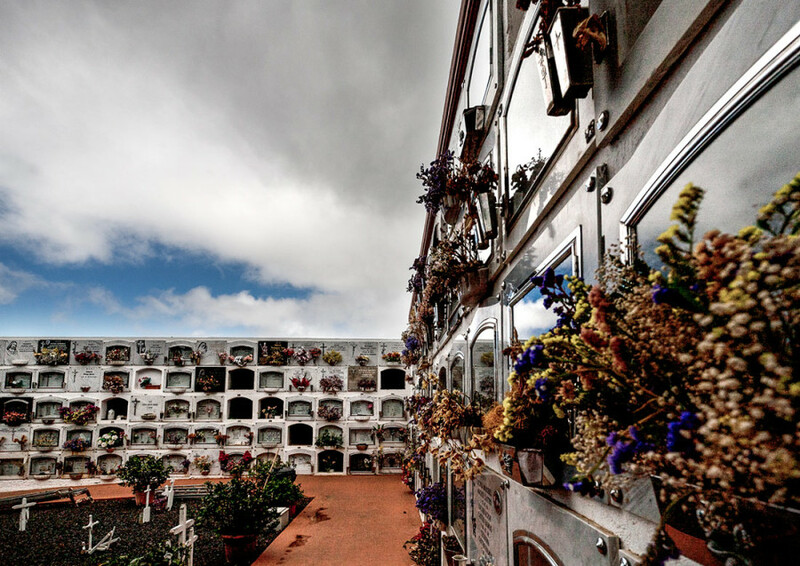 Cemetery in Garafia. Spain, Canary Islands, La Palma, Puerta Naos. 2012. Spain, Canary islands, La Palma, Roque de los Muchachos. 2012. 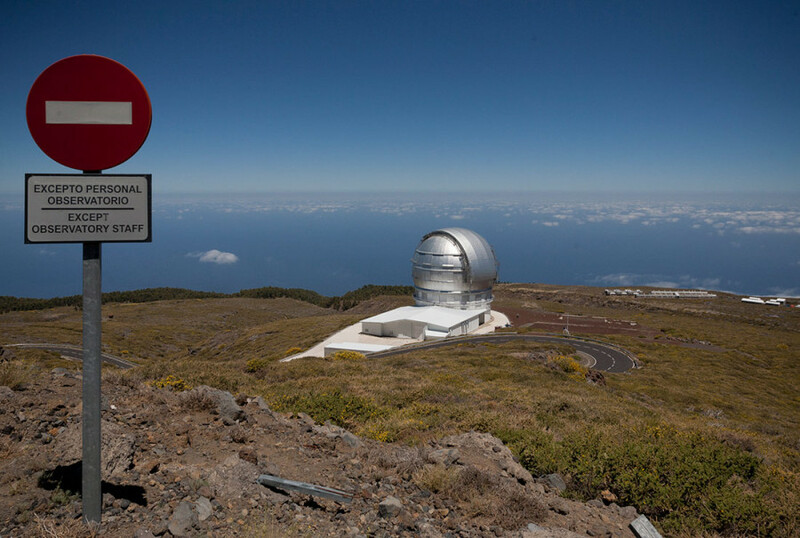 The largest astronomical observatory can be found on on the island of La Palma. Many European Union countries participate with their own telescopes and observation instruments. 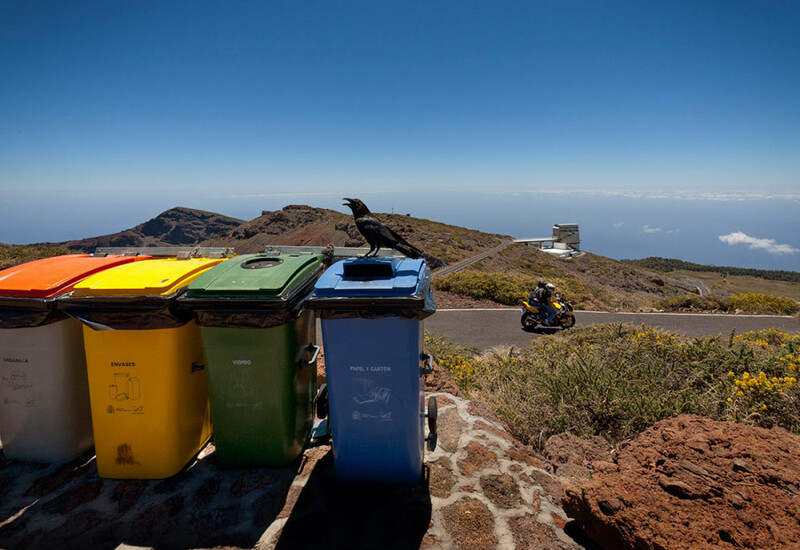 Spain, Canary islands, La Palma, Roque de los Muchachos. 2012. 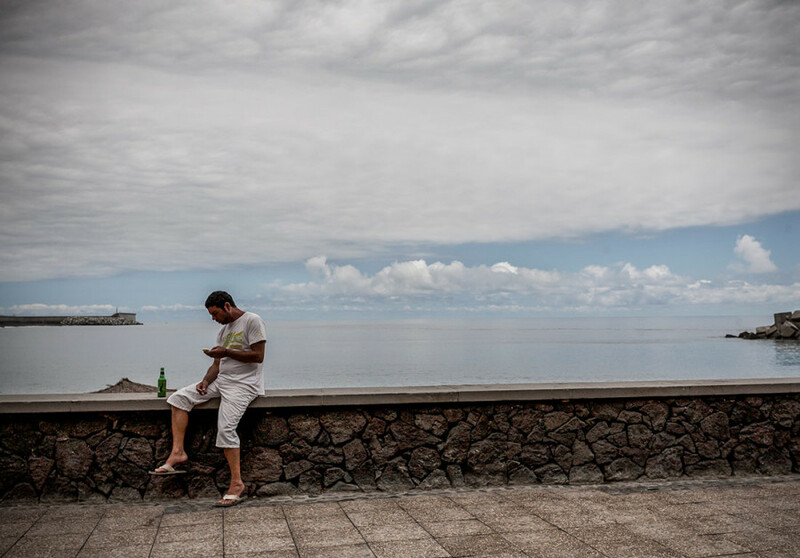 Spain, Canary Islands, La Palma, Puerto Naos. 2012. 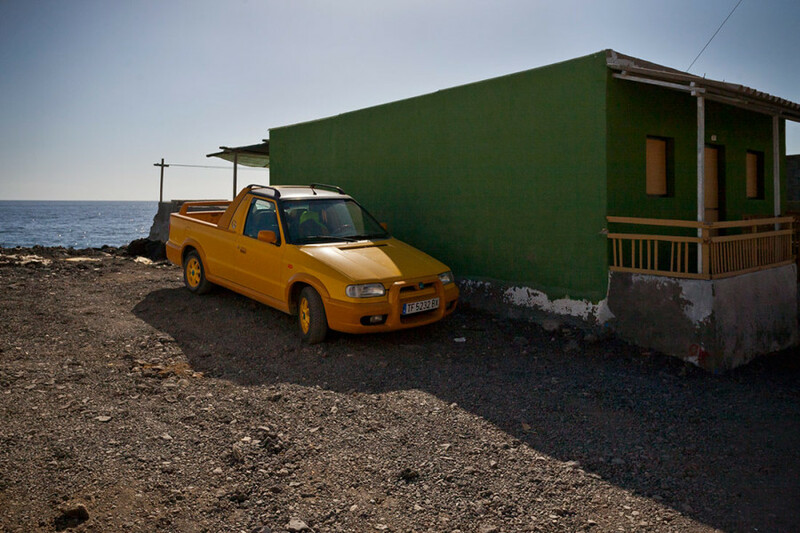 A car near an Illegally built house along the Atlantic shore in Puerto Naos nearby the town of El Remo.